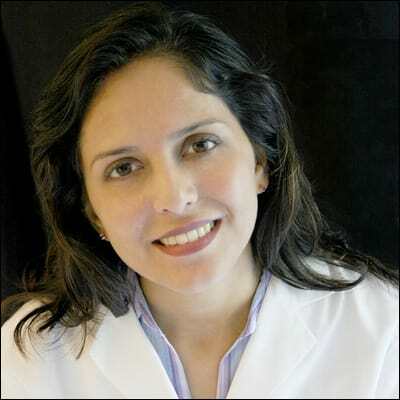 We spoke with Dr. Saba Rizvi, owner of My Dentist for Life in Fort Lauderdale, Florida. Dr. Rizvi is not only an experienced practitioner, but also an experienced business owner, having run her own private practice for over 13 years. As a savvy business owner, she understands the importance of monitoring KPIs (Key Performance Indicators), so that she can make data-driven decisions to improve her practice, and deliver the best care for her patients. In this interview, Dr. Rizvi discusses how she uses Dental Intelligence to monitor her practice's metrics, set goals, motivate staff, and prioritize her day-to-day. She also discusses how she recently moved to a larger office space in order to accommodate for her growing practice, and how this motivated her to reconsider her software stack. This resulted in her switching from Eaglesoft and SolutionReach, to Open Dental and YAPI. Hi Dr. Rizvi, nice to meet you. Can you introduce yourself and your practice? My name is Saba Rizvi, and I've been a dentist for 19 years, and owner of My Dentist for Life in Fort Lauderdale, Florida for 13 years. Prior to My Dentist For Life, I worked as an associate for several years. After working as an associate, I wanted to do something on my own, because I was limited as far as the kind of dentistry that I wanted to practice. Everything had to go through the owner, who wasn't interested in learning the new cutting-edge options in dentistry. I felt that my growth was stunted, and I wanted to offer my patients as many of the best options as possible. My patients prefer the convenience of coming into one location, so that they and their families can get everything they need to get done in one place. I'm a solo practitioner, but have an oral surgeon that comes on staff once a month. Since our practice has grown over the years, we recently moved to a new office in October 2016. Our new office currently has 2200 sq. ft and 7 operatories. We have 5 team members, and we do all phases of dentistry. What software does your practice use? In the past, we've used Eaglesoft, Smile Reminder (SolutionReach), and Dental Intelligence. However, we recently switched to using Open Dental and YAPI, and we still use Dental Intelligence. What made you decide to switch to Open Dental and YAPI? For the first 12 years of my practice, I was in the same location trying to maximize its usage, until it got the point where we outgrew it. I just relocated to a new, larger office last October. So when I started rebuilding the office, I thought about what I wanted to change, and I decided that I wanted a completely paperless charting. I went on Dentaltown to find out more about paperless charting, and how we could get to the point where everyone in the office was using an iPad. Dentaltown had a very heavy weight in my decision to switch, and that's where I learned about Open Dental and YAPI. The main reason I decided to switch from Eaglesoft to Open Dental in 2016 was that with Eaglesoft, I struggled in downgrading composites. I would be waiting for a treatment plan, and it would take the software forever to calculate the downgrades. Open Dental doesn't have that issue -- it would just automatically calculate it for me. Eaglesoft also felt like it was a little bit behind the times at that time. For example, people had access to their practice management software at home and on other devices, but it was hard for me to do so on Eaglesoft. I felt like I always had to purchase updates for the new features that I wanted, and it was expensive well. There seemed to be a new version each year. Now, I only pay $99/month for Open Dental's support, and it does all of the things that I need with free updates. For communication software, my issue with Smile Reminder was that it didn't do paperless consent forms. I was tired of scanning papers, and think that everything should be streamlined and efficient. This, combined with the fact that YAPI integrates well with Open Dental, is why I ultimately chose YAPI. It was a no-brainer for me. YAPI also does appointment confirmations, patient surveys, intra-office communication, morning huddles, and keeps track of KPIs. Since you had been using the same software for so many years, were there any difficulties transitioning to these different systems? Moving from Eaglesoft to Open Dental was pretty easy, and everything carried over pretty smoothly. There was maybe some small resistance from the team in learning a new system, but I presented it as something that would be great for them and easier long term. In the end, everyone is happy that we made the switch. We are still early in our transition to YAPI, but we’re satisfied so far. We are ending our contract with SolutionReach soon, so we just want to make sure that we cancel on time so that we don't get locked into another year by accident -- I have heard of other people having this issue. How did you learn about Dental Intelligence? I learned a lot about Dental Intelligence from the Breakaway Practice seminars in Texas by Dr. Scott Leune. The seminar was about how to build your practice, and how to make your practice run more efficiently. The Dental Intelligence reps were at the seminar, and they plugged in my information, and generated reports regarding production and A/R. It was really eye-opening for me -- I felt that they were giving me valuable information that I could use on a daily basis as a business owner. Were you looking at these kinds of metrics before with Eaglesoft? With Eaglesoft, we looked at production, collections, and the number of new patients. But it wasn't easy -- I would have to pull out different reports and gather that information. As a business owner, I'm busy, so I don't have the time to generate these reports on a daily basis. The data from the reports would also be for the previous month or two, but Dental Intelligence's data is real-time -- I can see exactly what happened the day/week/month before. They send me an email every morning, so it's easy to look at the reports, and I don't have to generate them myself. How has Dental Intelligence changed your practice? Dental Intelligence has helped me be a more informed business owner of my practice. It's helped us in setting goals for our practice. We've always had our own goals, but what Dental Intelligence does is give us a broader picture -- they give us an hourly/daily/weekly/monthly goal, so that we can know exactly where we stand at all times. As soon as we started tracking these metrics, our production went up because we were aware of where we stood with goals, and could understand when we were falling behind. We also use the unscheduled treatment patient list at the end of the week to prioritize who to call. It tells us what was presented, what was accepted, and what was scheduled, so it tells us exactly who to call. We also use the patient recare report, which lists patients who haven’t been in the office for 18 months, so that we can know to contact them. Once we started tracking this metric, our unscheduled patients gradually went down. Dental Intelligence has helped prove that my hygienist is a rock star by helping us keep track of the average dollar generated per hygiene visit. This shows how productive our hygienist is, and we look at it on a daily basis. It gives me the confidence to know that when my hygienist has a patient in the chair, she's maximizing her production, and is consistently meeting her goals. This is something we wouldn't have been able to track easily without Dental Intelligence. As the business owner, you can use data to help make effective business decisions. But some employees could be afraid that the data gets used to “punish” people. Was this something that you've experienced? How do you help everyone realize that it's to their benefit? I trust my team members, and they trust me. We talk about the data and our results all of the time. If they meet our goals, we go out of our way to celebrate it by saying how amazing they are, and how they're rock stars. If we're not hitting our goals, we talk about what happened. If, for example, we were underperforming because of cancellations, we try to understand if there are ways that we could improve our scheduling, and we also look for other items that are pending, so that we can get them scheduled in order to help achieve our goals. So everyone in my practice views this positively. Is there any additional functionality or any additional reports that you wish Dental Intelligence had? As a business owner, it's important to know the break-even point for the business on a daily/weekly/monthly basis. We have some fixed expenses and some variable expenses, which we keep track of in QuickBooks. I'd like to be able to utilize the financial report to see my expenses vs. what's collected, so that we can know the daily/weekly/monthly break-even points, and how profitable we are. Do you have any advice for our readers who may not currently be using business intelligence software for their practice? Don't think twice about Dental Intelligence! It's amazing! I wouldn't be able to practice without business intelligence software. I think that for dentists, it's important to not just learn the clinical side of dentistry, but also the business side. Software like Dental Intelligence helps you do this. I like the features and reports that they offer, and like the support whenever I need it. Once a month, I have a meeting with a financial analyst from Dental Intelligence, which I also find valuable. Dental Intelligence has a great return on investment. Dental Intelligence is a popular web-based analytics platform that provides dental practices with easily digestible reports and dashboards. 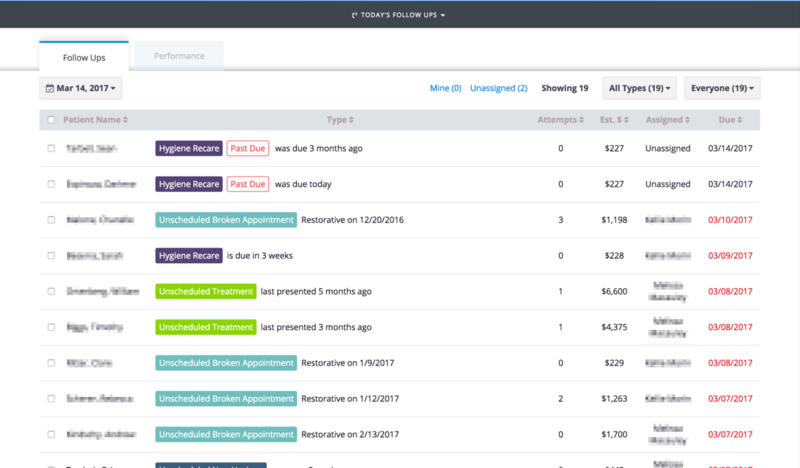 By aggregating each practice's relevant metrics in one convenient location, Dental Intelligence enables thousands of dentists to make actionable, data-driven decisions that help patients receive better care. Dental Intelligence currently has 26 employees, including 6 data analysts who can help you interpret your data and use it to make intelligent data-driven decisions, and 7 software engineers developing the product. To learn more about Dental Intelligence, you can read our in-depth review here. You can also visit Dental Intelligence's site here.